Tally is a Fast, Powerful, Scalable… And very reliable! Tally.ERP 9 is the world's fastest and most powerful concurrent Multi- lingual business Accounting and Inventory Management software. 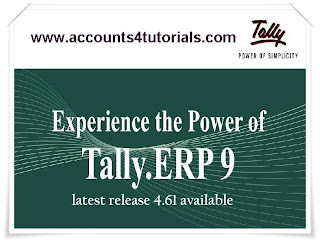 Tally.ERP9, designed Exclusively to meet the needs of small and medium businesses, is a fully integrated, affordable and highly reliable software. Tally.ERP 9 provides the capability to generate instant and accurate reports, which assists the management to take timely and correct decisions for the overall productivity and growth of the company.